Baker College has appointed Richard Bush as Dean of its College of Information Technology. 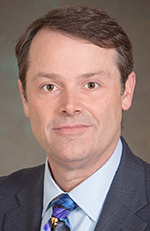 As the dean, he will provide leadership for developing, implementing, and maintaining curriculum in the Information Technology and Computer Information Systems programs. He will also ensure that all faculty within assigned academic areas are appropriately qualified. Bush, of Ypsilanti, was most recently executive director of eLearning Services at Lawrence Technological University in Southfield, where he served for more than 15 years. He also held IT positions at Eastern Michigan University in Ypsilanti, Technology Services Corp. in Dearborn, and Integrated Systems Consultants of Northern Michigan in Traverse City. Bush earned a bachelor’s in management and organizational development and a master’s in organizational management from Spring Arbor University. He also earned a doctorate in applied management and decision sciences with specialization in information systems management from Walden University in Minneapolis.